Volkswagen Group of America admitted to sidestepping clean air standards after the EPA and California’s clean air watchdog confronted the German automaker with evidence of high in-use emissions from light-duty diesels. On Friday, Sept. 18, the EPA slapped VW with a notice of violation for using sophisticated software to circumvent national emissions standards. The software, which the EPA calls a “defeat device,” is designed to implement full emissions control systems when the car is undergoing state emissions testing. During normal driving, the emissions control is turned off, permitting the significantly harmful diesel fumes to be expelled—40 times more than allowed under the Clean Air Act. VW and the California Air Resources Board (CARB) have both initiated investigations. 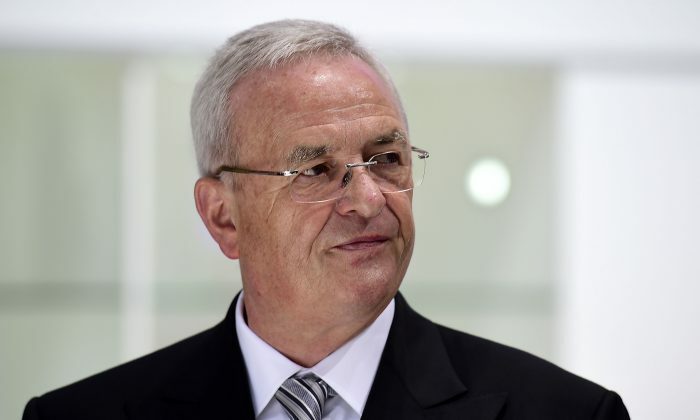 Volkswagen CEO Dr. Martin Winterkorn, on Sunday, apologized for breaking the public’s trust and vowed to cooperate fully with agency investigations. But this episode is not the first time the EPA or CARB has had run-ins with VW. In the past, both agencies charged VW with similar violations, which resulted in penalties. VW previously failed to report its discovery of emission defects in at least 329,000 of its 1999, 2000, and 2001 Golf, Jetta, and New Beetle vehicles. In May 2001, after conducting a random test, the EPA identified a problem with tailpipe emissions in the 1999 model vehicles caused by a failed oxygen sensor. It turns out, VW knew about the problem for a year already—since it had received numerous warranty claims associated with cracked oxygen sensors—but failed to report it. According to the Clean Air Act, any emission-related defect found in 25 vehicles or engines of the same model year has to be reported within 15 days. VW spent $26 million in January 2002 to recall all the vehicles and replace or repair the part. Another estimated $660,000 was spent on an enhanced defect tracking system. The EPA finally settled its case with VW in 2005, penalizing the delinquent car maker $1.1 million. The state of California has been working closely with the EPA in testing VW cars and issued a separate notice of violation to VW in the current case. California has been a leader in clean energy investments and set the stage in 2006 for transitioning to a sustainable, low-carbon future with the passage of AB 32, a law requiring sharp reduction in greenhouse gases. Since then, several legislative initiatives have been implemented to build the next generation of clean, fuel-efficient cars. The CARB implements the state’s vehicle regulations through a vigorous certification process, as well as compliance and enforcement programs. It regularly tests vehicles to ensure compliance with air quality standards. In 2004, VW settled a case with CARB for $552,500 for selling cars in California that had not been properly certified. VW admitted to selling 84 new 2002 vehicles from several retail locations throughout the state, attributed to an error in its electronic ordering system. The EPA is expected to compel VW to issue a recall notice in order to remedy the current emissions problem, which could take up to a year after identifying the appropriate corrective action and a recall plan. The Environmental Protection Agency announced today that it will phase in a policy requiring permits for greenhouse gas.